Chalmazel Mountain Station is located in the Monts du Forez mountains in France. 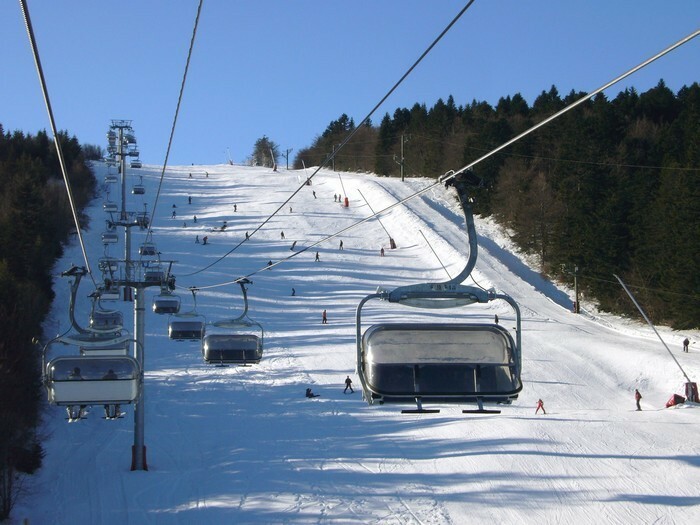 One hour drive only from Saint-Etienne, Chalmazel is the only ski resort in the Loire department. Perfect combination of winter sports and relaxation. Chalmazel attracts a nearby family of skiers with low prices (far from the prices in major resorts). Slopes, a few rounds of wheel of the bourg, evolve from 1109 to 1600 metres above sea level on the slopes of Pierre-sur-Haute (1634 metres), highest point of the mountains Forez. Chalmazel is a medium sized ski resort with only 9 ski lifts (1 gondola, 8 surface lifts) and 42 acres of terrain over 10 pistes. There are 35 kilometers (22 miles) of cross country ski trails at Chalmazel.